DEARBORN, Mich., May 3, 2017 – Ford, America’s truck leader, is updating its biggest trucks to improve performance and serviceability. Ford F-650 and F-750 medium-duty trucks are the fastest growing volume Class 6-7 brand**. Ford F-650 and F-750 trucks were completely redesigned for 2016, enjoying their best sales since 1997 last year. Ford’s largest trucks are available in straight-frame, kick-up frame Pro Loader and dedicated tractor models, with Regular Cab, SuperCab and Crew Cab body styles. Ford is the only manufacturer to offer a choice of gasoline or diesel powertrain in the medium-duty conventional truck market. All F-650 and F-750 trucks are built at Ohio Assembly Plant near Cleveland using domestic and foreign parts. “Customers are moving from other brands to Ford F-650 and F-750 medium-duty trucks because they’re affordable and Built Ford Tough in America,” says Kevin Koester, Ford medium-duty truck and Super Duty fleet marketing manager. “Our segment-exclusive gasoline engine is appealing to fleet managers who recognize not every duty cycle requires the torque of a diesel engine, and who prefer the cost and maintenance advantages of gasoline power. Electronic stability control and traction control brakes are now standard on all 2018 F-650 and F-750 tractor models. The system will initially be optional on certain F-750 diesel air-braked straight trucks with high-center-of-gravity-body upfits. For applications with high electrical demands – such as tow trucks, road service vehicles and other well-lit work trucks – a high-output 240-amp alternator is now available with the 6.8-liter V10 gasoline powertrain. Ordering the higher output alternator to power auxiliary lights and equipment can eliminate the need to specify a second alternator or generator. Ford offers an optional automatic regeneration inhibitor on 2018 diesel trucks to give the operator more control over when the engine goes into regeneration to clean the diesel particulate filter. To limit potential hood wear and front-end collision damage, an available bumper extension moves the full-width front bumper from flush with the grille to three inches in front of it. This provides additional protection to the grille and components behind it in case of a collision, potentially reducing repair expenses. It’s easier to check the oil and transmission fluid levels on 2018 F-650 and F-750 diesel trucks thanks to relocated dipsticks that can be accessed from ground level. The transmission fluid dipstick has also been moved to provide ground-level access on gasoline models. The gasoline engine’s oil dipstick was already accessible from the ground. Ford is the only manufacturer to design and build its own medium-duty diesel engine and transmission combination – ensuring the powertrain will work seamlessly with all chassis components and vehicle calibrations, and providing customers with streamlined service. The 6.7-liter Power Stroke® V8 turbo diesel engine delivers best-in-class standard 270 horsepower and 675 lb.-ft. of torque, as well as available engine outputs of 300 horsepower with 700 lb.-ft. of torque and 330 horsepower with 725 lb.-ft. of torque. 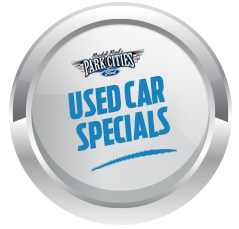 The diesel has a B10 engine design life of more than 500,000 miles***, and is backed by an unsurpassed standard five-year/250,000-mile limited warranty. For additional braking assistance, an exhaust brake comes standard with every diesel engine. Ford’s segment-exclusive 6.8-liter V10 gasoline engine provides 320 horsepower and 460 lb.-ft. of torque for less than the cost of a diesel engine. It can be factory-prepped for conversion to compressed natural gas or liquid propane. 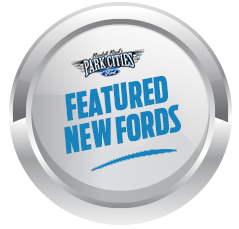 Both engines come with the Ford-built TorqShift heavy-duty six-speed automatic transmission. An available live-drive power takeoff provision features an output gear linked directly to the diesel engine crankshaft for 300 lb.-ft. of stationary torque and 200 lb.-ft. of mobile torque. For the gasoline powertrain, the optional power takeoff’s stationary and mobile mode deliver 250 lb.-ft. and 125 lb.-ft. of torque, respectively. The transmission’s SelectShift® feature has two driver-initiated modes – progressive range select, which limits the range of gears to lock out overdrive for consistent speed over hills, and full manual mode, which provides control up and down the gearbox. Selectable tow/haul mode compensates for grade and load to reduce gear hunting and improve power delivery. Engine braking and selective gearing improve control on downhill grades and help minimize brake wear. 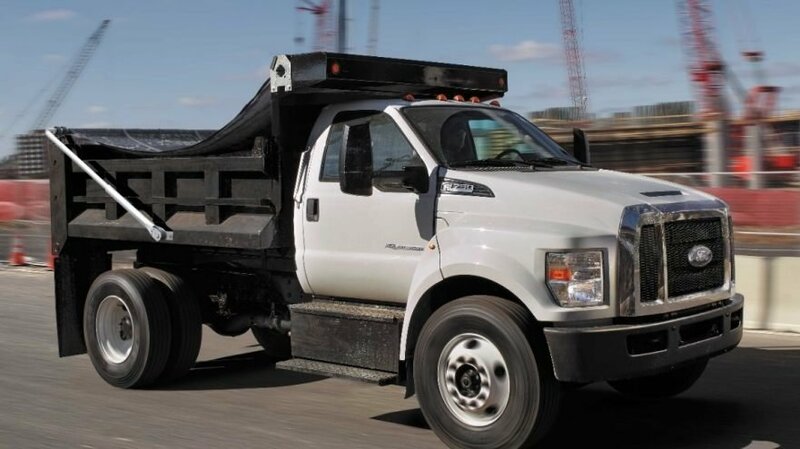 Like all Ford trucks, Ford’s medium-duty F-650 and F-750 vehicles are supported by the company’s Commercial Vehicle Center program. Program dealers nationwide are committed to providing fleet and commercial customers the vehicles, financing options and service support their businesses need to maximize productivity and uptime. Ordering for 2018 Ford medium-duty F-650 and F-750 trucks begins this summer, with vehicles available at dealers this fall. *Electronic stability control and traction control brakes will initially be optional on certain F-750 air-braked straight trucks with high-center-of-gravity-body upfits. **Based on IHS Markit TIP registrations for gross vehicle weight Class 6-7 vehicles with sales over 1,000 units for calendar year-to-date December 2016 versus calendar year-to-date December 2015. ***B10 design life based on 330-horsepower output version and Ford engine dynamometer testing.